Liberia’s Foreign Minister Augustine Kpehe Ngafuan has described the history of Liberia as a puzzle to which Liberians must correctly add all of its pieces if they must form the correct image. Minister Ngafuan spoke at the National Symbols Review Symposium held at the Paynesville City Hall under the theme “Reviewing Liberia’s National Symbols to Renew National Identity”. The foreign minister said inclusive and correct national symbols must come out of decisions made by a great number of the people and must be the reflection of unity among the varying ethno-national sensitivities, as well as the tribal, religious and other leanings of the Liberian people. 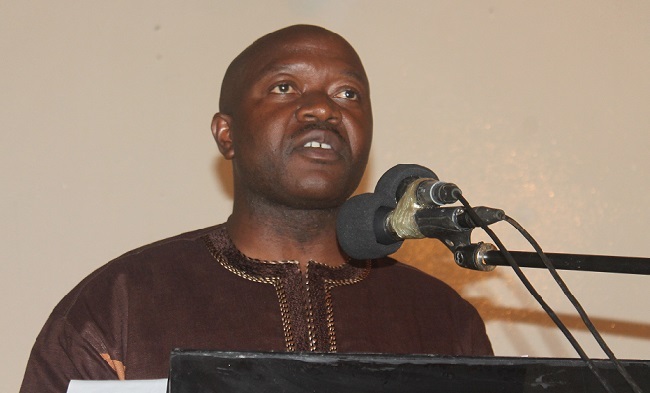 Among several questions, Minister Ngafuan said Liberians shied away from for too long was whether the country’s national motto should be “The Love of Liberty Brought Us Here or The Love of Liberty Binds Us Here”? The minister said a large part of the attachment that people have to the nation comes from the common understanding and the feeling of belongingness to the symbols of that nation. He however noted that it is difficult, if not impossible, to unite people around symbols that ought to reflect their nationhood if those symbols do not reflect their collective image, adding that “In this day and age in our country, there can be no room to wax in self-denial and make-believe that the current Liberian symbolic mirror emits an image of shared national identity”. He stated that the National Symbols Review Project under the administration of President Ellen Johnson-Sirleaf is undertaking a comprehensive review of the country’s national symbols as a way to renewing its national identity, an identity that will do justice to the nation’s rich ethnic, religious, and cultural diversities. Minister Ngafuan said the move by President Ellen Johnson-Sirleaf to launch the National Symbols Review Project on February 6, 2014, was of itself, recognition of the need to, as a people, take a clear-headed, frank and meticulous look at our national symbols including the Seal, the Flag, the titles and brooches of our national distinctions. The Minister further assured the fullest cooperation of the Ministry of Foreign Affairs as the National Symbols Review Committee embarks on what he called “a project of huge national significance”. Delivering her keynote address at the symposium, Sister Mary Laurene Browne called on every Liberian to be honest and forge in humility as a nation destined for all Liberians. She said Liberians must undertake this task individually and collectively to understand their nationality.